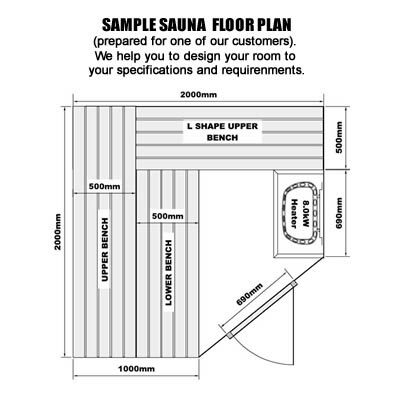 Ukko Saunas can make any custom sauna kit or sauna layout you need. We manufacture custom saunas, custom built saunas and custom cut sauna kits. More and more of our sauna kits are custom made to clients’ special layouts and specifications. We can also make a custom sauna door to your preferences and measures. Ukko Saunas supplies pre-cut and pre-built sauna kits Australia wide. No matter where you plan to put the sauna, we can deliver direct from our factory in Sydney. Designing custom sauna plans and layouts is a FREE service – simply contact us to get your custom sauna started and with our NO DEPOSIT INTEREST FREE finance option you can be on your way building your sauna right away. Below is an example table of different room sizes. Use it for your reference only. 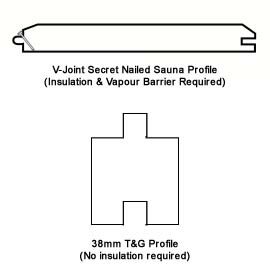 Ukko Saunas can supply required materials, benching and accessories to suite your sauna room configuration.